Vancouver is a special place. Its geographic location is incredible. The mountains, the ocean, incredible scenery, an open-minded culture, and a pioneering spirit: these are many of the things that attract people to move here and call it home. Things are not all positive, though. The job climate can be considered a little stifled with so many satellite offices and a lack of diverse businesses, and foreign investment is driving up the cost of living. If you were to take the city as it is today and dropped it in a less attractive landscape, what would it really have to offer prospective workers? Would it still have that magic? Would it still be as prosperous? Startups in BC are not chasing Ontario, and they don’t need to. 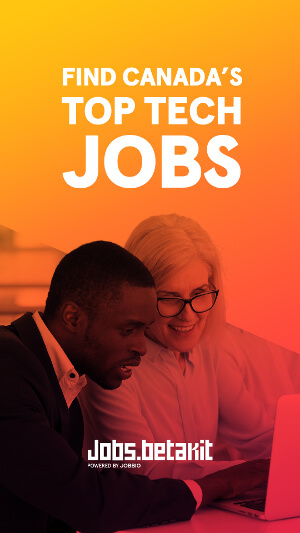 Well, over the past few years we have seen a rise in entrepreneurial spirit with many new companies, technologies, and initiatives finding success here. The startup culture is really starting to mature into an essential hotbed of innovation. 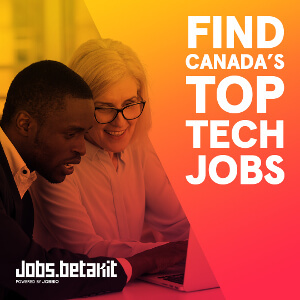 A recent report from BC Stats highlighted that the province’s tech sector contributes around $12.5 billion to the Canadian GDP, trailing three other provinces. Ontario leads at $45.8 billion, followed by Quebec ($24.9 billion), and Alberta ($17.7 billion). Ontario is probably the most similar to British Columbia with regards to startup culture. They are standing together and are resolute in the knowledge that there is something special happening here. Companies like HootSuite, Food.ee, RentMoola, Recon Instruments, General Fusion, Luvo, Human, Mobify, Unbounce, Spacekraft, and Lighthouse Labs all hail from here, and are changing their respective areas of focus. Both the Vancouver Economic Commission, and the startup community, feel strongly about celebrating what we have and structuring that ecosystem so that we support and nurture each other. Back in 2014 a team of passionate advocates and companies came together to do the first Vancouver Startup Week. What they achieved in such a short amount of time demonstrated how strong this community is – more than 80 events, engaging more than 3,000 people – and from idea to execution in a few short weeks. The local community jumped on board. It’s now in its second year, and things are becoming more established. With each startup event that happens throughout the year we are standing a little taller as a community, being a little more innovative. This year, Vancouver Startup Week kicks off on the 21st of September with a number of talks, gatherings, and workshops aimed at creating a stronger community. Two highlights stand out to me. The first is the Networked Business Boot Camp that was conceptualized and will be run by the Vancouver Economic Commission. This event aims to show all kinds of local businesses what tools they can utilize to create community, connections, and get ahead of the competition. Pietra Basilij, VEC’s sustainable Community Development Manager, gave me the rundown on the event. “Businesses can expect to learn how to use the many local tools and services that are already out there and available to them – and they will learn from the best of the best,” she said. “Participants will hear about how to find top talent from Riipen, create social marketing campaigns from Hootsuite, get access to funding from FrontFundr and Grouplend and run events from Picatic.” The audience will include non-tech or low-tech startups, SMEs, and social enterprises that are looking to grow or evolve their business through online tools and channels. The second highlight is the Recruitment Fair, which has some great buzz around it. Startup life is attractive to so many graduates and experienced workers. It offers hard work, varied tasks, and the feeling that you and your team have the chance to change the world. Oftentimes more established businesses don’t allow for the freedom and creativity that is needed. Vancouverites, and those that move here, crave that. Hundreds of attendees and many great local companies will be there. So, what will the outcome be after this week of activities? Will we get more investment happening within the community? Will the VCs down in Silicon Valley fly up with bags of cash to buoy the tech startups? Maybe not. One thing is for sure, however: with each startup event that happens throughout the year we are standing a little taller as a community, being a little more innovative, and getting back to the business of hard work. That’s the defining factor: when things don’t come easy, we work harder. For me, that’s the startup culture in Vancouver. If you were to take Vancouver as it is today and dropped it in a less attractive landscape, what would it really have for people? Would it still have that magic? Would it still be as prosperous?